Home → Need Help Cleaning Out A Messy Closet? You can really clean out your closet following these easy steps. 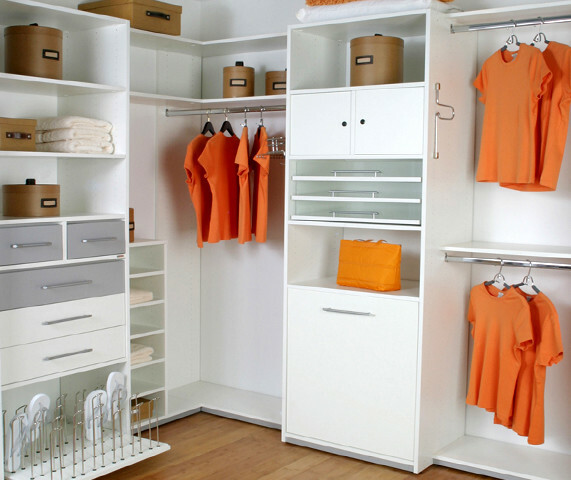 You'll build a fresh looking wardrobe using this method every-time! Grab everything out of the closet and chuck it on the floor. Create 3 piles of what stays, what goes and what the hell? As your building your piles resist the urge to keep what you "think you need". You'll notice everything in the what goes pile hasn't been worn because quite frankly, you didn't need it. Items in the what the hell pile will seem to be those "special pieces you were saving for reasons you can't remember". Some of these should be placed into the what goes pile. Now that you have 3 mountains in front of you, quickly dispose of the "what goes" pile to your local good will bin. Neatly place items from the "what stays" pile back in your closet, at the same time...stack and place outside of your closet the items from the "what the hell" pile. If 1 month passes and you've yet to use anything from the "what the hell" pile, it must be thrown away as the items in step 6 were.